I simply love Dosa’s. Crispy or soft, I just love them. 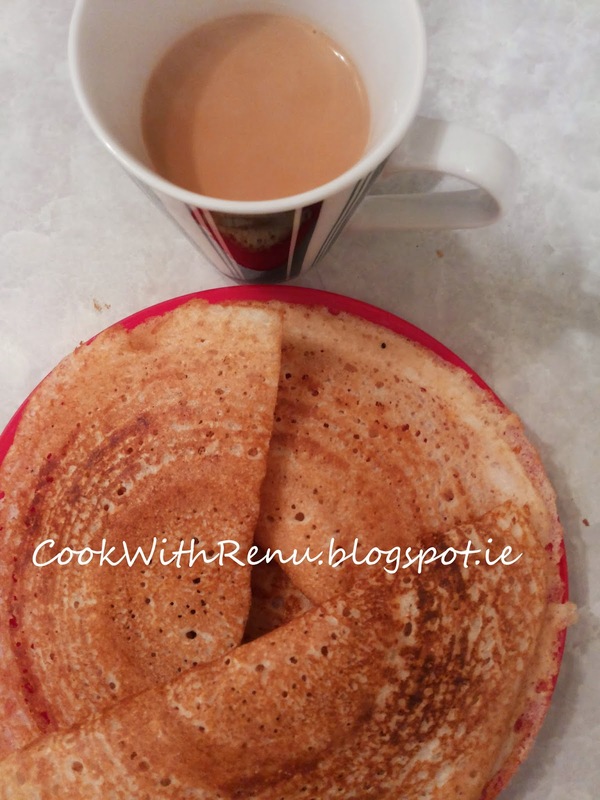 Many a times or rather whenever I make it, I always relish the Dosa’s with a cup of hot tea. Yup strange, but I think there might be many in the same boat, or may be not. But I like it. Heat a pan/Tawa. It should be very hot. Add 2-3 drops of oil on the pan, and spread it evenly with the help of a Tissue paper or a cut potato. Now add a spoonful of batter (Depends on the thickness one requires). Spread it in circles. Just go in one direction and spread it quickly as the pan is hot, the dosa will start cooking. 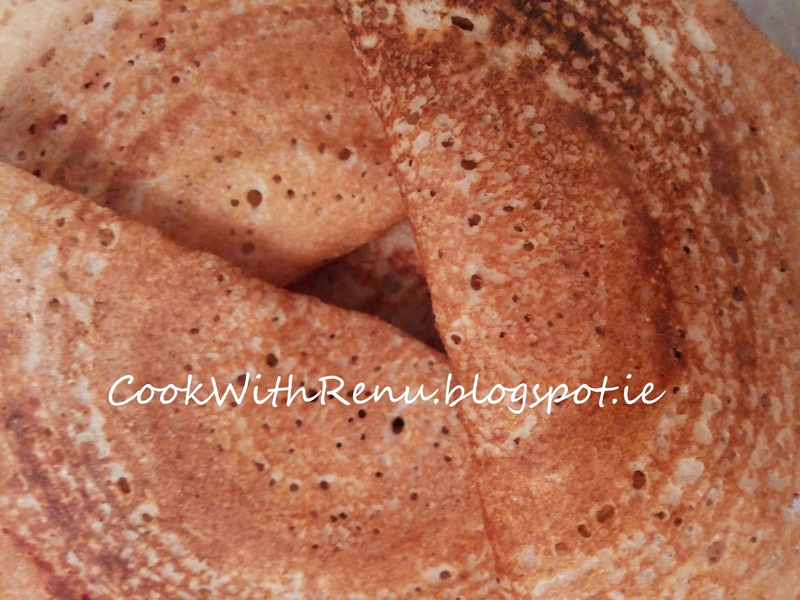 Keep the dosa pan back to the gas and let it cook for a minute or two. Turn and just cook for a couple of seconds. (Cooking on the other side is optional). Repeat Step 2 for making the 2nd Dosa. Note: The pan needs to be really hot to get crispy Dosa’s.